I met the daughter of Pierce T. Wetter in August. Pierce was an original Wobbly. He was arrested in 1917 in a nationwide roundup of more than one hundred IWW activists for opposing the U.S. entry into the first World War. He and many others were imprisoned; Pierce served five years in the Cook County Jail in Chicago and the Leavenworth, Kansas Penitentiary. His brother Telfair ran the Baltimore office of the IWW during this period. Her dad taught her the song. This was the first time she had sung it since she was a young girl. Now, living in a Hartford-area retirement community, she began to remember more. She knew he wrote an article on behalf of those still imprisoned. “It’s in Joyce Kornbluh’s book [Rebel Voices],” she recalled. Pierce led an amazing life, before and after his five-year act of conscience. Besides being a Wobbly, he was a Quaker and a pacifist. He was born on April 4, 1895 in Madagascar, the son of the American consul. He and his siblings were raised in Georgia and Ohio, mostly by his aunt. 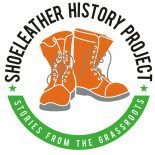 His daughter remembers that Pierce was effectively abandoned at 12 years old, and with his brother they tramped around the country. He eventually inherited some family property. Pierce could trace his ancestry back to a member of the Revolutionary War Continental Congress and President Franklin Pierce. 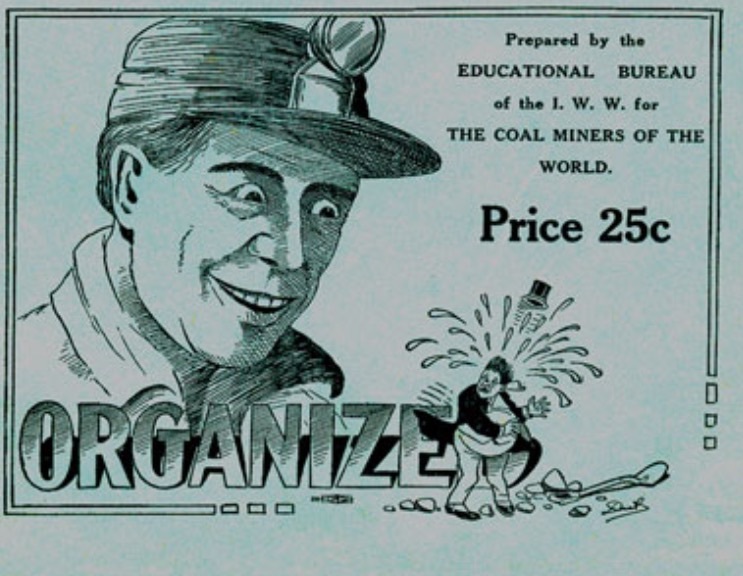 IWW organizing pamphlet for miners. In 1916, Pierce was an officer of the IWW’s Coal Miners Industrial Union in Great Falls, Montana. He wrote to Bill Haywood of the workers’ enthusiasm for “sabotage” as a tactic in their organizing campaign, but Big Bill did not approve, writing back that “there is nothing the enemy would like better” than to publicize the tactic. The letter was used against Pierce at his trial. The federal government simultaneously raided sixty-four IWW offices in September, 1917, arresting Pierce and many of the union’s most well-known leaders. The charges included interfering with the war effort and violating the Espionage Act. Their trial began on April 1, 1918. He and 114 other Wobblies were charged with one hundred separate crimes each– over 10,000 criminal acts. 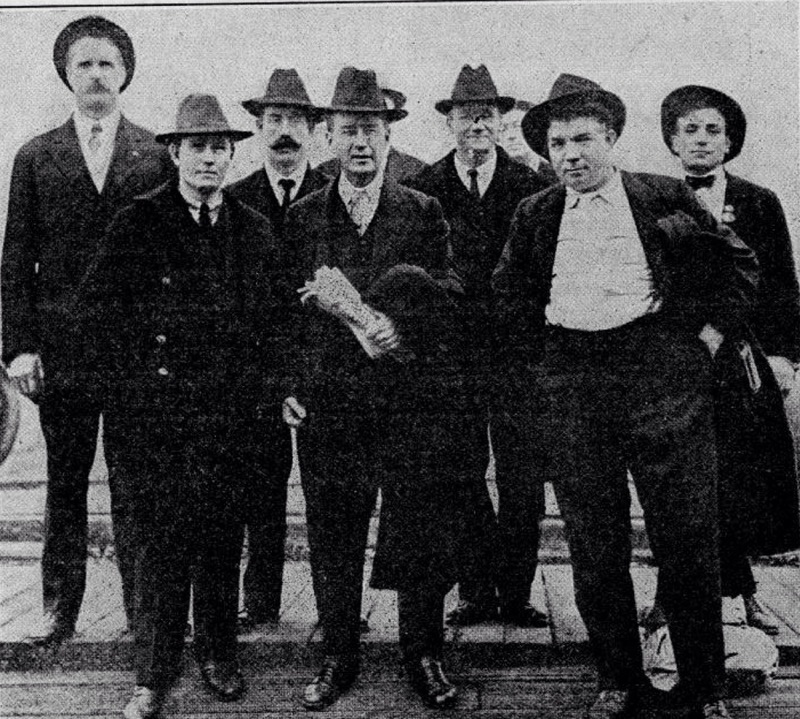 Historian Melvyn Dubofsky writes in his history of the Wobblies: “The Justice Department was indeed fortunate that public hysteria had convicted the Wobblies before the jury heard the prosecution’s evidence, for the prosecution, in fact, had no evidence.” Pierce served his full five years; some of the defendants received twenty-year sentences. 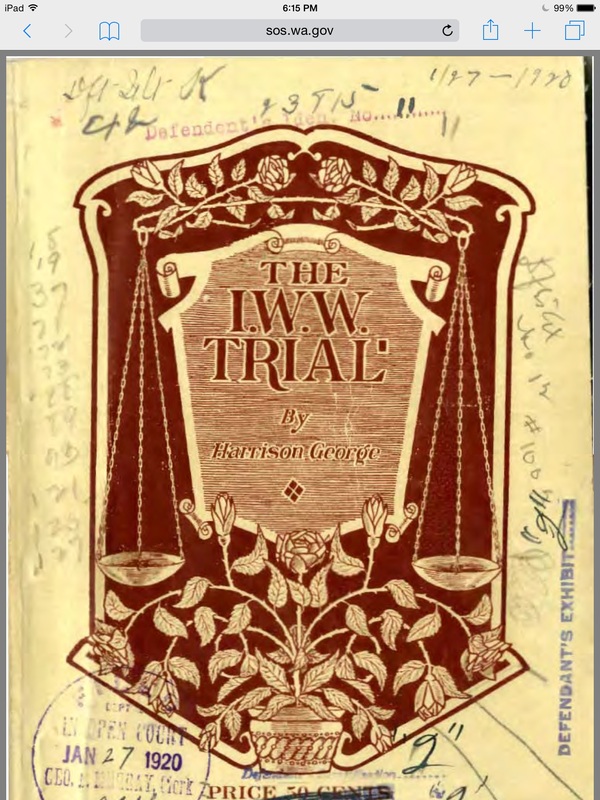 Well-worn pamphlet on the trial of 100 Wobblies including Pierce Wetter. After Leavenworth , Pierce continued to fight for the remaining Wobblies in prison. He wrote “Men I Left at Leavenworth,” a passionate plea for their release that focused on the personal stories of a number of the inmates. His article emphasized that they were jailed for their beliefs and nothing more. 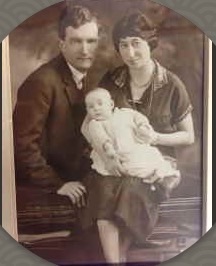 Pierce had moved to Brooklyn by 1923 and studied to become a mechanical engineer. He and his family lived on Washington Square in Manhattan with Robertson Trowbridge (who had adopted Pierce at a late age). There he continued to “fight the power,” challenging Robert Moses, the controversial “master builder” of New York City. Moses wielded great power that he used to build highways and parks, willfully ignoring the consequences to residents and their neighborhoods. (He was also the reason the Dodgers left Brooklyn). When Moses wanted to put an encircling double roadway around Washington Square in 1939, Pierce organized community opposition to successfully stop the plan. He faced Moses again in 1942 when the power broker planned to eliminate a waterfront complex in the Battery Park section of Manhattan. Before Ellis Island opened, Fort Clinton had been the first stopping point for eight million immigrant families coming to America. Moses cared little about that kind of history and began demolition. Pierce led a campaign to halt its total destruction, saving the immigrant building. 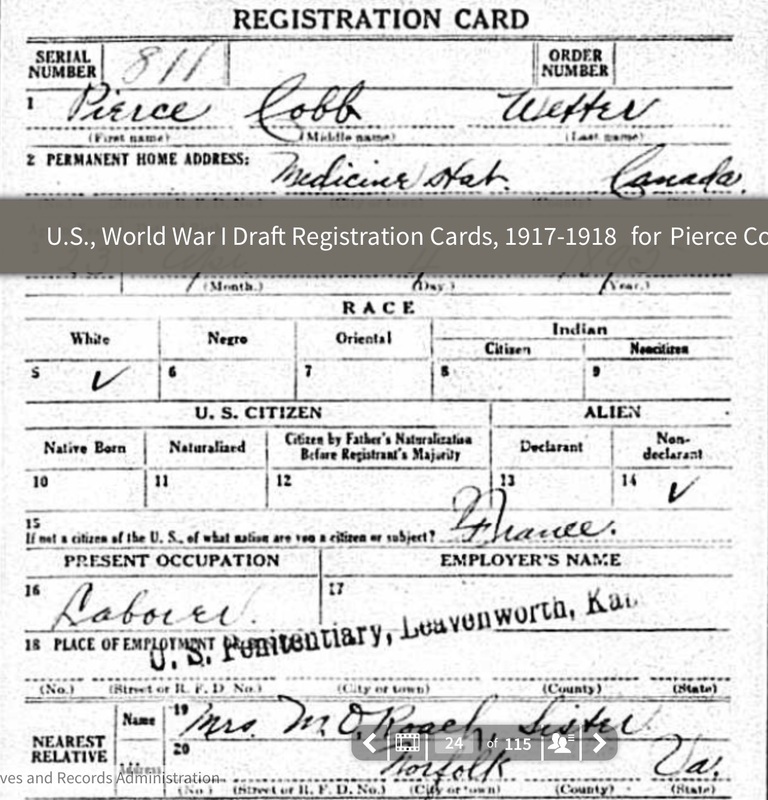 Draft registration card. Note place of employment on line 18. Pierce felt the rage of Moses when the mogul used red baiting and ad hominem attacks against the activist during this fight. Moses, referring to the activist’s IWW membership, publicly called Pierce “one of a gang of thugs and saboteurs who interfered with the military and civil works of the United State government during the World War.” Pierce Wetter “did not have a single characteristic of a Quaker,” Moses sputtered, and he deserved “a good public sock in the jaw.” Fort Clinton is now a national monument. Pierce Wetter was pardoned of the 1918 charges by Franklin D. Roosevelt in 1933. He died on May 10,1963. He was 68 years old. This entry was posted on November 7, 2015 by Steve Thornton in Anti war, Hartford.